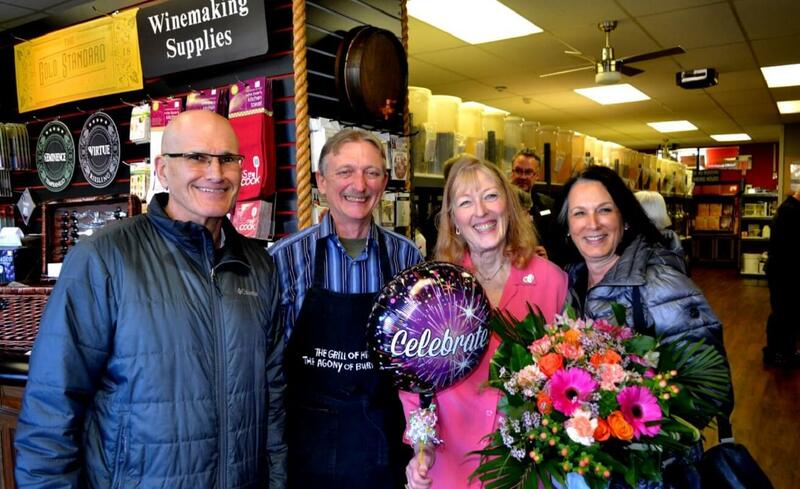 On January 16, 2018, we were thrilled to take over the helm of Steveston Winemakers from Sandi and Simon Wosk. The knowledgeable staff and the warm, friendly atmosphere were the makings of a perfect family business near our home. We’ve felt like family since we became customers in 2001 and we want to make all our customers feel that way too. We love that it’s made us even more involved in our charming community of Steveston. It’s all about community. Our customers. Our fellow merchants. Our neighbourhood. Our team. Our family.